According to Dave Whitlock, "The Other Part of Fly Fishing is Fly Tying." Conversely, "The Other Part of Fly Tying is Fly Fishing." And, those flies we tie during the winter months beg to be fished properly in the spring. On the pages that follow you will find proven stratagies for fishing the flies featured on Warmwater Fly Tyer. Hopefully, those stratagies will work for you. 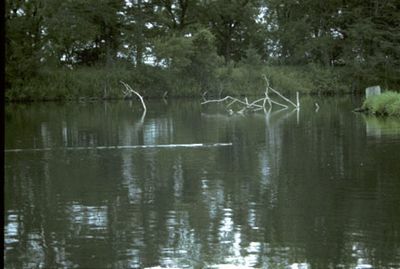 There are five basic knots that every warmwater angler should know. They are the Duncan Loop(Uni-Knot), the Non-Slip Mono Knot, the Improved Clinch Knot, the Double Surgeon's Knot, and the Surgeon's Loop. 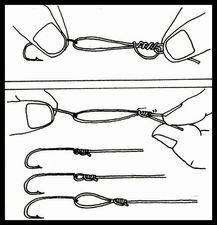 Learn how to tie them. Regardless of age or complexion, every angler should use a sun block that is safe, effective, and comfortable to use. A sunblock called Coppertone SPORT is my choice. 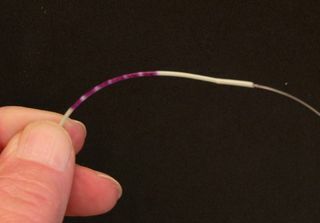 This is the most effective way to connect a new tapered leader to your fly line. Learn the best way to attach a leader to your fly line. 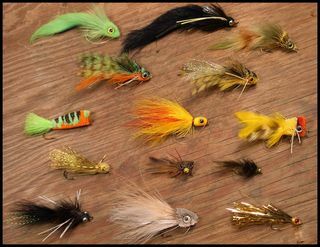 Here are the flies that I use to consistently take a variety of warmwater gamefish.